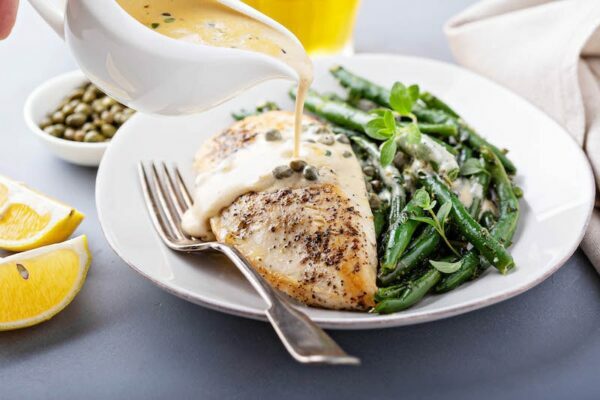 Lemon Caper Chicken: an easy low carb chicken dinner is epically delicious with a rich, creamy lemon caper sauce served over perfectly cooked chicken breasts. Hey there low carb friends, I am back with an amazing Keto chicken recipe you are going to love! 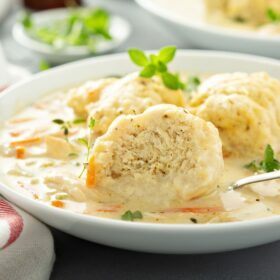 Jorge and I make sure we eat low carb when we can and this is one of our all time favorite low carb dinner recipes. We season up the chicken breasts and sauté them in a cast iron skillet until golden brown. 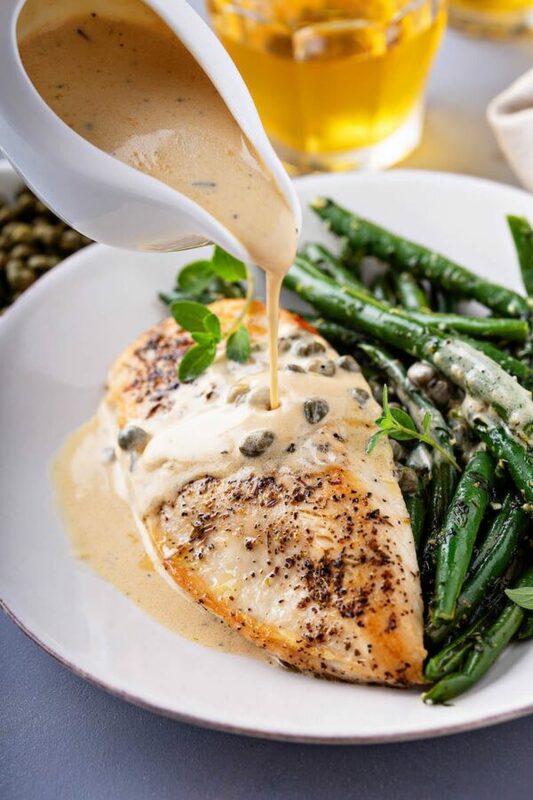 Then, in the pan with all the crispy chicken bits, we make a quick creamy lemon caper sauce that is insanely flavorful. I find staying on a low carb diet is a lot easier when we have a plan in place and easy recipes ready to go. 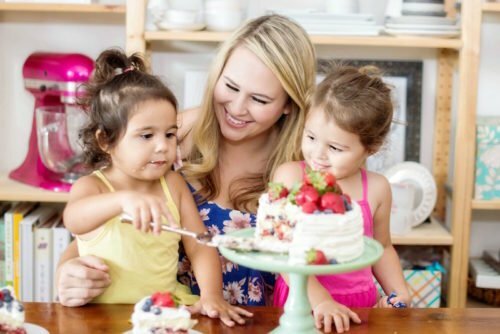 Eating out and sticking to low carb can be really hard, at least where we live. Our options near us are very limited to salads or bunless burgers and they get very old very quick. So when I plan ahead with quick easy keto recipes and meal prep for the week, we stay much more on track. 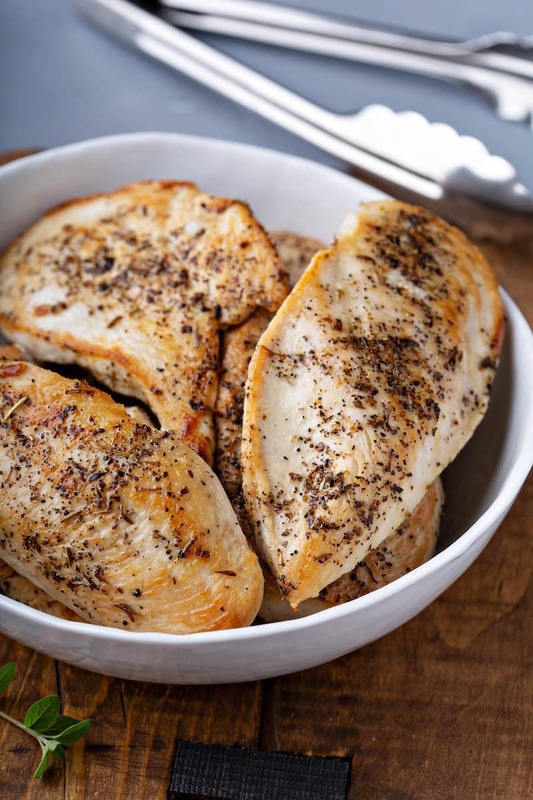 This Low Carb Lemon Caper Chicken recipe is a great easy weeknight meal to keep in your back pocket on busy nights. It takes 30 minutes or less to make, start to finish, but you wouldn’t know that by the epic final flavor of the dish. We love to serve it over our favorite mashed cauliflower and fresh green beans. The cauli mash I make ahead in double batches before the start of the week. That way we have it ready to go for an easy side and dinner will take a lot less work on my part. 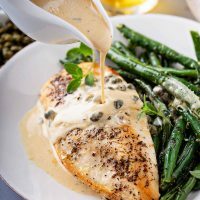 I like to use chicken breasts in this Lemon Caper Chicken, however there are many other options for proteins. You can use chicken thighs, white fish or even turkey breasts. You can even use Salmon! I season both sides of my chicken breasts with Italian seasoning, garlic powder, salt and pepper. Then into the cast iron skillet with a little avocado oil they go. Then once the chicken breasts are golden brown and cooked all the way through, you remove them from the skillet. Leaving all the little crispy chicken bits still in the pan, we add a little butter, dry sherry, and lemon juice to deglaze the pan. Sauté it for a minute, then add some fresh garlic (hello flavor!) and sauté a few seconds more. Lastly, we add the heavy whipping cream and bring it to a simmer until it can lightly coat the back of a spoon. 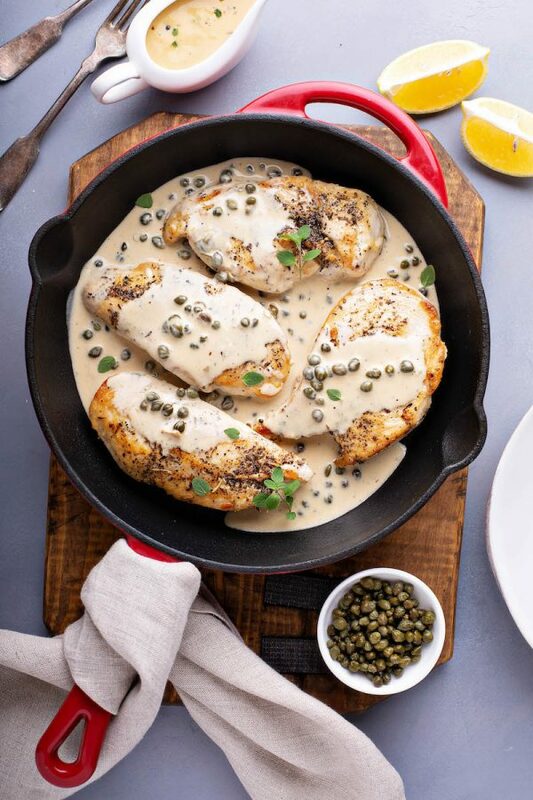 This Lemon Caper Chicken is one of our favorite low carb dinners for the overall epic flavor. 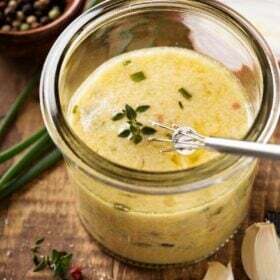 You can also double the lemon caper sauce and pour it on top of your mashed cauliflower (or mashed potatoes if you aren’t low carb!)! 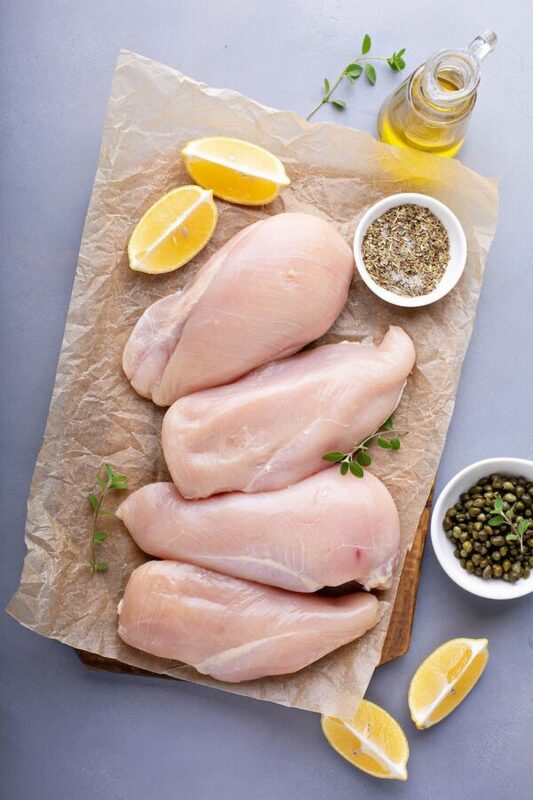 Don’t wait to try this recipe for our Low Carb Lemon Caper Chicken! I promise it will be a hit with the whole family. Our girls gobble it up and almost always get seconds! 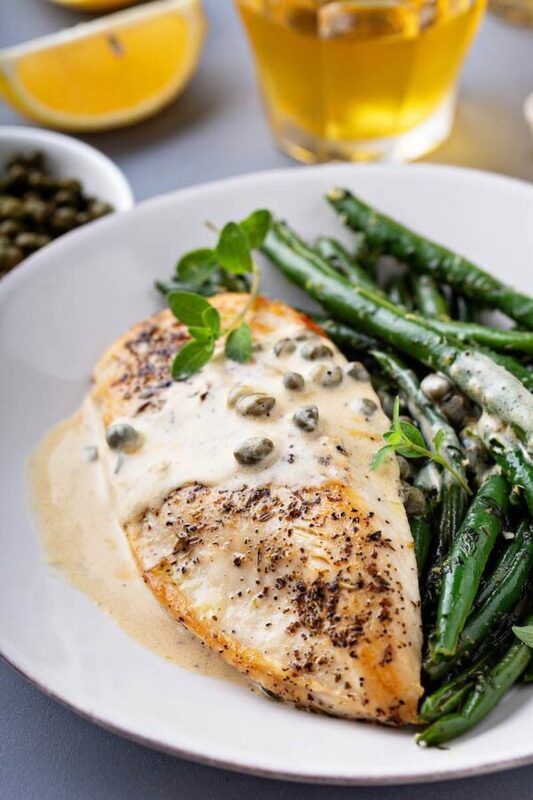 You won’t feel like you are missing out on any carbs with the amazing flavors and rich feel from the creamy lemon caper sauce! When you do make it, please share how it turns out below in the comments! In a small bowl, combine Italian seasoning, black pepper, salt and garlic powder. Lightly season all sides of chicken with seasoning mixture. In a large skillet over medium-high heat, add olive oil. Add chicken and let cook for 3 minutes. Flip and cook until golden brown and cooked through, about 2-3 more minutes. When chicken is done cooking, transfer to a deep plate and cover with foil to keep warm. Add butter, sherry and lemon juice to skillet and scrape up any chicken bits. Add garlic and cook for 30 seconds. Add whipping cream and bring to a simmer, cook for 2-3 minutes, whisking constantly, until it can lightly coat the back of a spoon. Remove from heat and add capers, thyme and black pepper. Pour over chicken and serve. It’s so nice to have another low carb option for dinner! 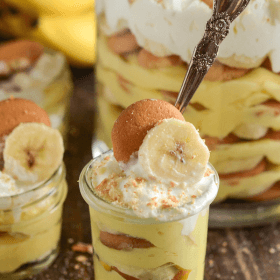 We get in a rut around here and this looks delicious! 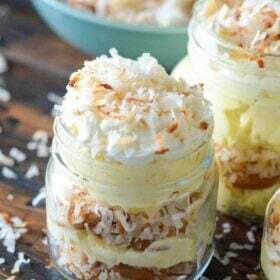 I cannot wait to make this for my family !! 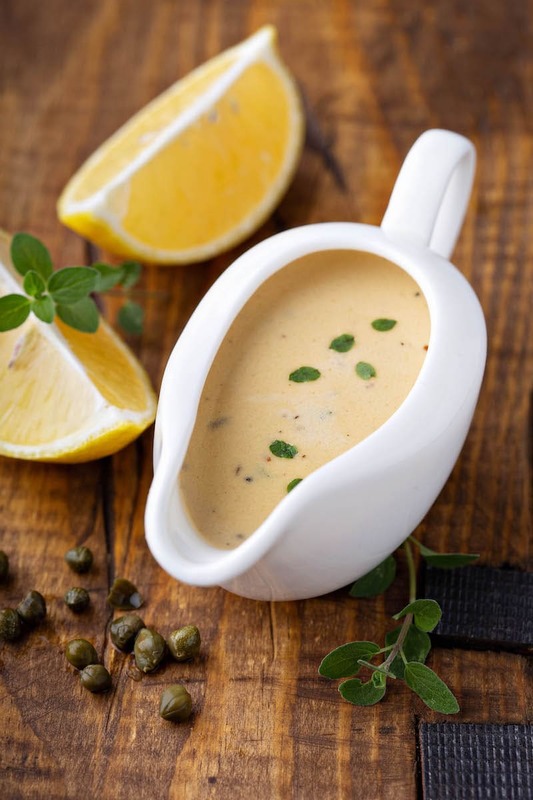 That creamy sauce is calling my name! This is a meal my family will LOVE! 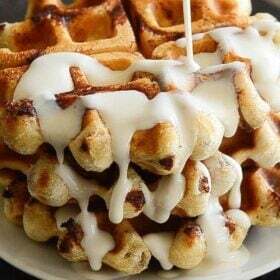 Mmmmm, that cream sauce looks heavenly! mmmm..that sauce looks amaaazing!! I am loving this dish! This is one good looking chicken dish! 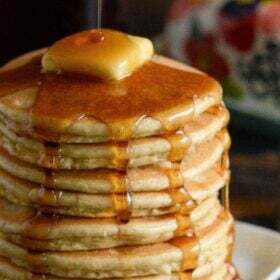 I have to make it for my family!